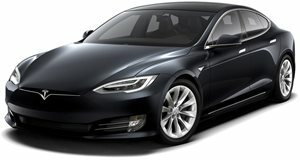 The Tesla Model S doesn't meet the scrupulous safety standards of the IIHS. Yikes. 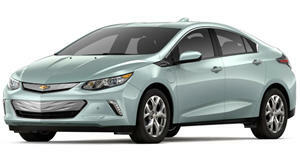 Looks like Ford isn’t the only manufacturer with cars being criticized for its slumping safety ratings. The Mustang only managed to score two stars in a recent Euro NCAP crash safety test, and now the Tesla Model S is facing its own safety concerns. That may sound surprising – after all, the Model S is considered to be the safest car the NHTSA has ever tested. The Insurance Institute for Highway Safety says otherwise, however. In a test assessing the safety of four EVs, the Model S scored ‘Good’ results in the moderate overlap front, side, roof strength, and head restraint/seat tests, which is the top of four grades. However, it only scored ‘Acceptable’ in the small overlap front crash test, which simulates a crash between an object and the front corner of the car. The seatbelt was to blame for the lower rating, which failed to stop the driver-dummy’s head from hitting the steering wheel, which could cause serious injury. “Measurements from the dummy indicated that injuries to the head, along with the lower right leg, would be possible in a real-world crash of the same severity." Tesla has said it will implement changes to the seat belt to improve protection. Failing to achieve top marks in all five safety tests meant that Tesla still hasn’t managed to achieve a Top Safety Pick award with the IIHS. The organization also called for Tesla to improve its headlights, and added that the extra weight of the P100D meant that its roof didn’t withstand rollover tests as well as other models. Despite its Autopilot system which can avoid crashes, IIHS says the Model S doesn’t offer the level of front-crash prevention system needed to earn a Top Safety Pick + award. 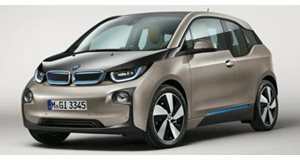 Luckily for Tesla, the Model S wasn’t the only EV that didn’t pass its scrupulous safety standards – the BMW i3 was rated 'Acceptable' in the same category as the Model S. So what are the safest EVs money can buy, according to the IIHS? 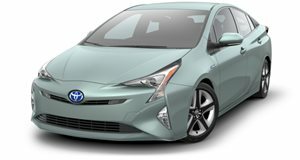 That would be the Toyota Prius and Chevrolet Volt, both of which scored ‘Good’ in all five tests, and were thus awarded the Top Safety Pick + reward.